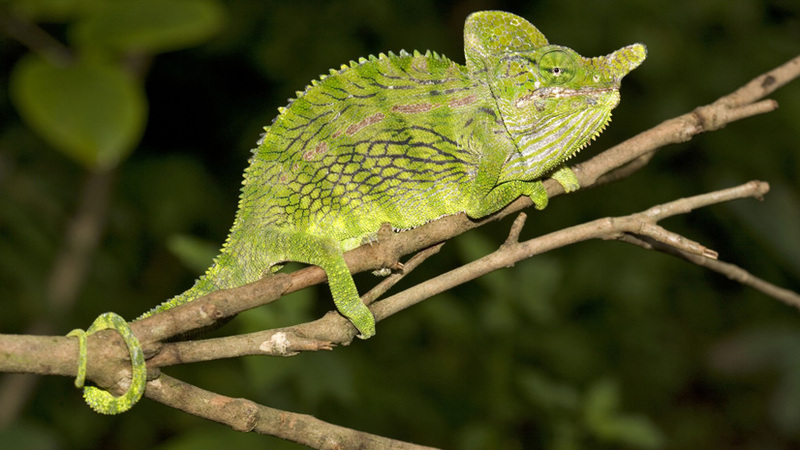 Find out how a short lifecycle helps the Labord’s chameleon survive Madagascar’s dry season. Around half of all species of chameleon live in Madagascar. The Labord's chameleon has the shortest life cycle of any vertebrate. Labord's chameleons spend 8 months in their eggs, then all hatch simultaneously at the start of the rainy season. Once hatched, the Labord's chameleon has just 5 months left to live. The island of Madagascar is home to around half the world’s species of chameleon including one with the shortest life cycle of any land vertebrate: the Labord’s chameleon. This young chameleon is well suited to life in its forest home.